This online film course will teach you EVERYTHING you need to know to make a GREAT short-film! Every great film director started his or her career making short films. And now, you can too! This online film course, conducted by the Sydney Short Film School, will help you gain a broad understanding of all the technical and performance aspects of making a short movie. You will be learning all the secrets for success from a Tropfest-winning tutor at the Sydney Short Film School - the most affordable movie-making course in Sydney! The Sydney Short Film School has been running since 2009 and has taught hundreds of students in the art of making short films. Now, we have taken the best parts of our classroom course and condensed it into a high-value, low-cost, on-demand online film course where we cut to the chase and teach you exactly the things you need to know in a fast, concise and hands-on practical manner. 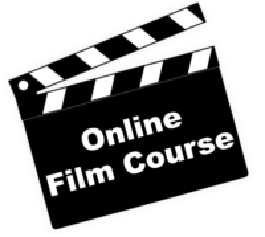 This online film course will teach you writing, directing, acting, filming, sound recording and editing. If you would like to stay informed of the Online Film Course launch, then register your interest here. At the Sydney Short Film School, we believe we have the best value film-making class in Australia. Now you can get that great value with our Online Film Course. The Sydney Short Film School has taught hundred of students over the years - many of whom have gone on to follow their own careers in TV and film. The only way to get recognition in this industry is to actually MAKE something. Sure, you could go and spend tens of thousands of dollars on a media degree, but that still won't necessarily prove you can make great films. The objective of our course is to give an honest, solid grounding in the art of making short films. We will arm you with the sufficient knowledge you need to get started and look like a pro on set from day one. The course you receive here at the Online Film Course is the same as the one run in our film class, with the exception of reviewing your script and shooting a movie. Everything else is the same or enhanced to make the online experience even better. Creating a concept for your story. steps in every great story ever told. in your story to make a WINNING film. Acting 101 - Understanding the key skills of great screen actors so you know what to look for in yours. How to cast your actors. How to direct your actors to get the performance you want. How to effectively manage a film-crew. How to light your scene like a pro. How to build a low-cost camera rig. microphone to capture the best possible sound. Everything you have learned so far is now put into play! Contractual agreements and other legal stuff. Preproduction. Get it all together like a professional. Finding and using locations. Street legals. How to manage cast and crew. Basic video editing techniques:- Video Editing Software. Types of cuts and transitions. Using music and sound effects. When you enrol with the Online Film Course you get access to all our lessons for a simple, low-cost monthly fee. There is no contract, and you can cancel at any time. All our lessons are video based and delivered in easily-digested segments so you are not overloaded. As we add to our lessons, you will have access to them. You also get access to our extensive online library filled with all kinds of goodies (worth the price of admission alone). In our library you will find a wealth of texts, resources and really useful information to help you become a great filmmaker. So what are you waiting for? Sign up today and start your journey into film-making! Register your interest in our super, low-cost online film course starting soon. Thanks for your enquiry - we will tell you when the film course is online. Online Film Course will begin in 2017.
film course at the lowest price. Thanks for filling out our form! Someone will get back to you soon.